Â Â Â If you make a layout map for the Han's laser LED panel, a good industrial link effect will be on the paper, and the subsidiaries will run through the front line. The front section is the Dazu Optoelectronics, which is engaged in LED packaging equipment, followed by Guoyexing and Lusheng Optoelectronics, which focus on LED packaging, and then Yuanheng Optoelectronics, which is engaged in LED applications. Its subsidiaries cover almost all industrial chains except LED epitaxy and chips. Some insiders believe that the company's LED business development model is similar to the laser printing business development model. It is expected that the company will extend to the upstream of the LED industry chain, the epitaxy and chip manufacturing business. As the LED industry will be in a period of rapid growth for a long time in the future, if the company can realize the development model of the whole industry chain, it will have strong competitiveness. In recent years, Han's Laser has basically completed large-scale investment in the field of laser processing equipment, and now the production capacity and marketing network are maturing. Therefore, it is inevitable for the company to seek development and expansion in other fields. The reporter learned from the company that since 2007, the company has increased product development and investment in LED new light source and new energy industry, and adopted a strategy of cutting out the production of components from LED midstream packaging and testing equipment. At present, the company has already owned LED packaging and LED application business through epitaxial expansion. In just two years, the layout of the industrial chain in the packaging field has been basically completed. At present, the number of LED companies controlled by the company and participating in the company has reached four. The company takes Dazu Optoelectronics as the entry point of the industry. Through acquisition and capital increase, it has successively controlled Guoye Starlight Electronics, Lusheng Optoelectronics and Yuanheng Optoelectronics. The equity ratios are 51%, 100% and 51% respectively , thus gradually intervening in LED display. And high-power lighting device packaging, system and component design, production, downstream applications involving indoor and outdoor display, traffic lights, lighting, automotive lighting, urban lighting and other fields. The company's holding company, Dazu Optoelectronics, established in 2007, focuses on the development of LED packaging equipment. Engaged in the research and development and production of LED complete automatic packaging equipment, the company's independent research and development of solid crystal machine, wire bonding machine, spectroscopic color separation machine, tape machine, laser dicing machine and other series of equipment with domestic technology leading level, most equipment series has been achieved Mass sales. The researcher told reporters that Dazu Optoelectronics is currently conducting independent research and development and testing of LED wire bonding machines. If it can be successfully launched and mass-produced, it will make the company the first LED full-package equipment provider in China. Among the four companies, Guoyexing and Lusheng Optoelectronics are LED packaging companies, and they are in the leading position in technology, product and quality management, and are among the most competitive LED manufacturers. The two companies can provide LED full range of optoelectronic products, and their dot matrix module products rank first in the country, with high brand awareness in the industry. Products are widely used in home appliances, mobile phones, transportation, advertising, banking, urban lighting, energy-saving lighting and other fields. Customers including South Korea's LG, Samsung, DAEWOO, Japan JVC, Galanz, Gree, etc., have received orders for the construction of domestic high-speed railway lighting signal system. Some industry researchers told reporters that the company's holding Yuanheng Optoelectronics is mainly engaged in the technical development, production and sales of LED indoor and outdoor display and semiconductor lighting appliances. From January to October 2009, sales were 53.15 million yuan and net profit was 2.12 million yuan. Both the 2008 and 2009 sales net margins were 4.0%. At present, Yuanheng vigorously develops the research and development and sales of industrial lighting products. Through professional R&D team, it has developed a number of products such as mining lamps and tunnel lights. 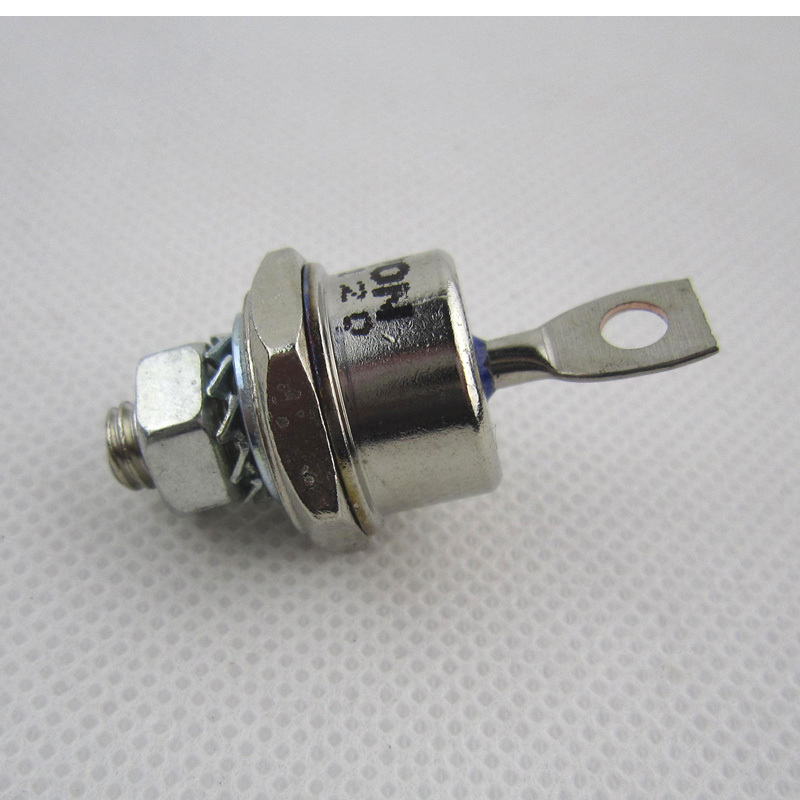 Fast Recovery Diode (FRD) is a semiconductor diode with good switching characteristics and short reverse recovery time. It is mainly used in switching power supplies, PWM pulse width modulators, inverters and other electronic circuits as high-frequency rectifier diodes. Free-wheeling or damper diodes are used. The internal structure of the fast Recovery Diode is different from that of an ordinary PN junction diode. It belongs to a PIN junction diode, that is, a base region I is added between the P-type silicon material and the N-type silicon material to form a PIN silicon wafer. Since the base area is thin and the reverse recovery charge is small, the fast recovery diode has a short reverse recovery time, a low forward voltage drop, and a high reverse breakdown voltage (withstanding voltage).